What dates are available? Click here for more details about retreat booking. If you’re still confused, just call us and we’ll explain. You can also check Trip Advisor for 200 or more reviews and find they are almost all really amazing. Our guests love us and we love them! If you’ve dreamed of doing yoga in one of the most exotic and spectacular settings on earth, then you’ve come to the right place. Anamaya is all about yoga. Many who have come to visit say that it was the idea of practicing yoga while gazing out at our view that lead them to choose Anamaya, and it ends up being the greatest part of their yoga retreat experience. Generally we offer two classes per day, taught by our in house instructors or our guest teachers. Every year, dozens of amazing yoga teachers travel to Costa Rica to teach for a week or two, and just as with our guests, it’s a dream come true to bring their yoga class to Anamaya’s yoga deck. Who doesn’t need more happiness in their lives? Costa Rica was recently rated as the #1 happiest country in the world because of its natural beauty, the natural good nature of the people, and the spectacularly great climate. We don’t train our staff to be friendly. 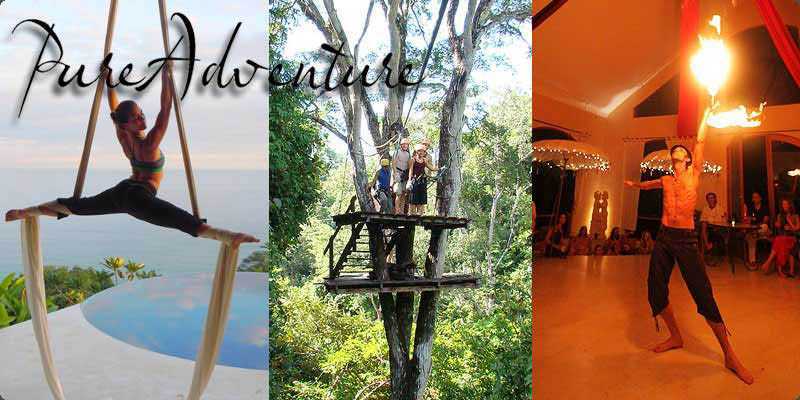 We hire people who naturally love to show our guests a great time, and are excited to show off the wonders of Anamaya and Costa Rica. 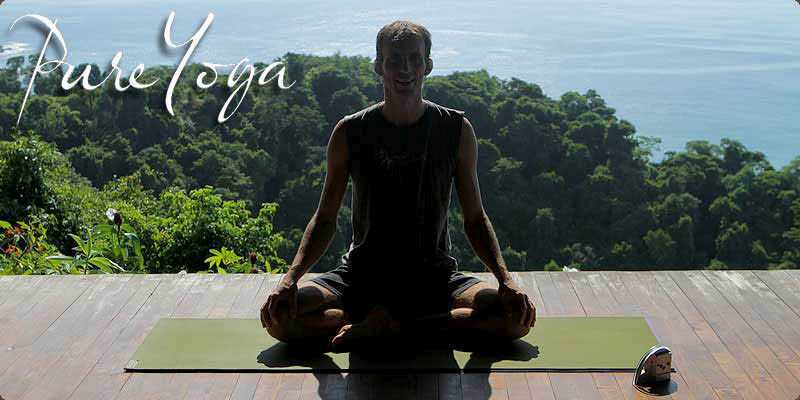 Anamaya’s yoga retreats are designed to bring a smile to your face from morning to night. Do you feel stressed out by the pressure of everyday life and the rat race mentality of the modern world? 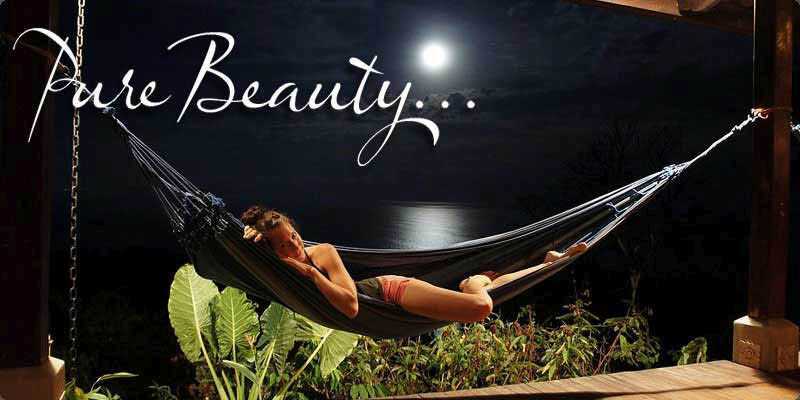 Rest and relaxation are absolutely essential to maintain health and happiness. Enter a world of pure peace and tranquility here at Anamaya. 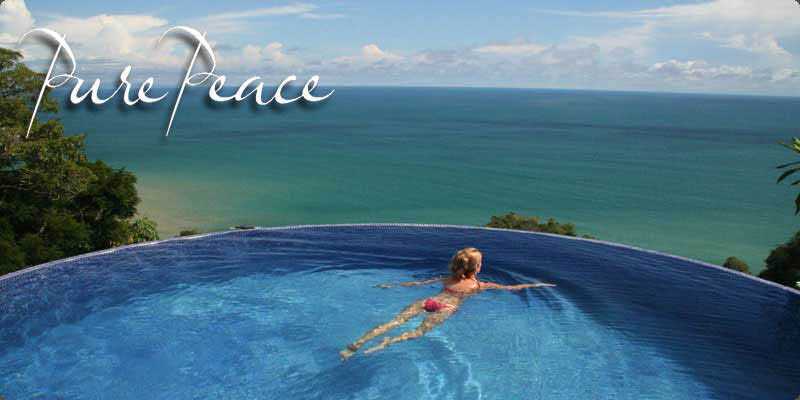 Our Costa Rica yoga retreat center is built upon the edge of a bluff overlooking 270-degree views of the ocean and jungle, in the beach town of Montezuma. Surrounded by a primary forest filled with monkeys, parrots, and other wildlife, the relaxing surroundings will make you feel you’re in the Garden of Eden, setting you at ease and recharging your mind, body and spirit. Are you tired of your daily routine and ready to try something new? Perhaps push past your self-imposed limits of what you thought you could or would do? Costa Rica is an adventurer’s dream come true. If excitement is what you crave, our highly experienced adventure guides will thrill you with unforgettable experiences that will empower and enrich your spirit. Anamaya offers much more than just yoga. Sign up for our Surf Camp and take surfing lessons. Try the zip line high in the rainforest canopy. Visit the giant waterfall next to our resort. Try horseback riding, or scuba diving, or take an aerial silk acrobatics class. This retreat is for you. You decide how much, or how little adventure you want. Do you need more energy, and would you like to return from a vacation feeling better than ever? Anamaya is a Sanskrit word meaning “freedom from disease” and our yoga retreats were created to help clean your body from the toxic world that most guests call home in the developed world. You will marvel at how amazing healthy food can taste when prepared correctly, and will enjoy the tremendous feeling of well-being that comes from eating food made from truly fresh and organic ingredients. 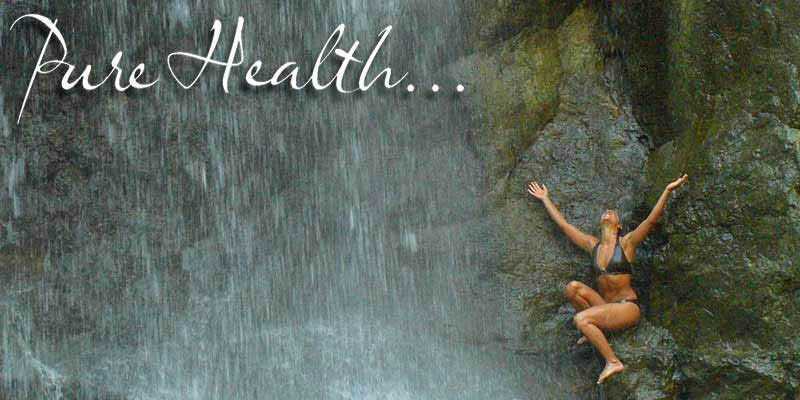 Combined with the area’s ultra pure air and water, daily yoga classes, and the fact that we use only non-toxic cleaners, personal hygiene products, and organic bedsheets, we hope to inspire you to improve the healthiness of your lifestyle even after you return home. It’s no wonder that this part of the world (the Nicoya Peninsula of Costa Rica) is a “Blue Zone”, one of the top-seven places in the world where people live longest. Guilt-free pleasure! Have you wanted to eat healthier but thought it was too much trouble, or that healthy food wouldn’t taste very good? 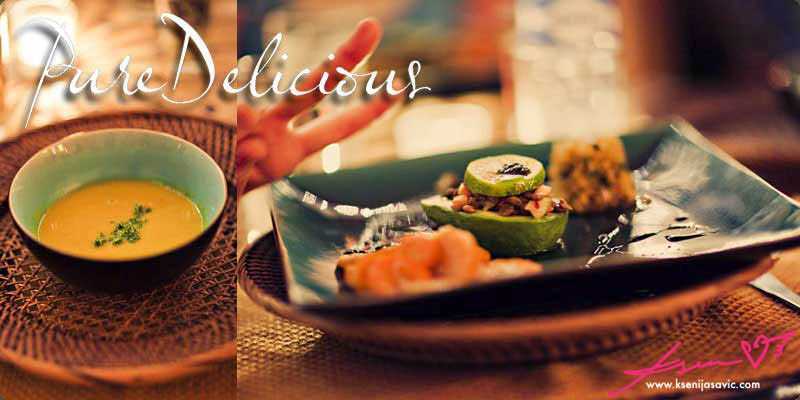 Anamaya’s genius chefs will open your eyes to a new world of tasty flavor that you won’t believe is so good for you. We do a lot of vegetarian and raw, but also have fish and organic chicken. If you have a more restricted diet such as pure vegetarian, vegan, or gluten-free, we’re happy to accommodate you. As much as is possible in Costa Rica, we go to great lengths (and expense) to obtain organic ingredients, and are even building our own farm to grow our produce nearby. Our chefs offer healthy cooking classes, and nearly everyone wants us to make a cookbook. When you read our reviews on Trip Advisor, what you’ll see often repeated is that our guests say that Anamaya is so much more beautiful than our website photos. Most guests who have traveled extensively say it’s the best view of any hotel they’ve visited, and certainly the best in Costa Rica. Anamaya was created by professional designers with years experience in the fashion industry, and zero experience in building hotels. The result is something profoundly unique – a supremely rich montage of color and texture to delight all your senses in ways that you will not find in other hotels. Anamaya is a photographer’s dream, with one of the world’s most beautiful natural environments as its backdrop. 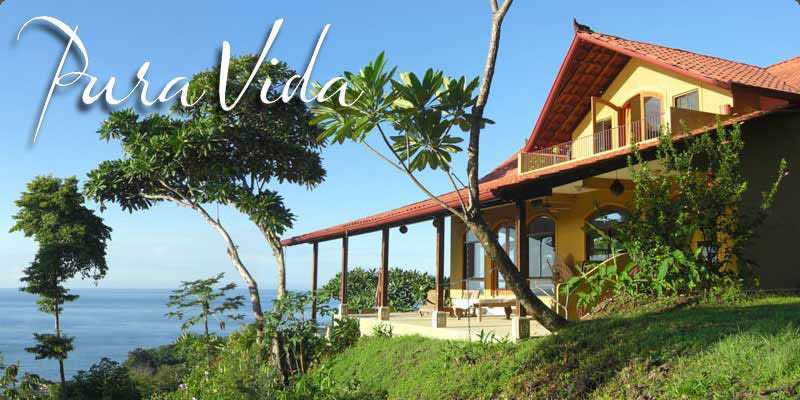 “Pura Vida” means “Pure Life” in Spanish, and it’s a very common saying in Costa Rica, almost a national motto. Just relax and let your days flow… whether it’s lots of adventure and exercise, or hours of hammock napping and pool lounging, or taking workshops and excursions in the rainforest environment. Once you arrive, you’ll know what you need.